Hello how's things? I am suffering badly with a nasty, nasty cold but you know what? so is just about every one I know, time of the year I suppose but I do long for warmer weather now we had enough of a bad winter. 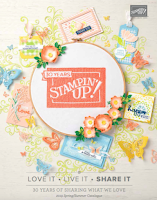 We're in full swing over at Stamp With Us and my second project was an Easter based ensemble. How cute is this stamp set? I love it and I cannot stop using it. I also love this cute lil box that I designed to hold 3 of these smaller choc. eggs. The place cards have been made using the bigger stamp from the set, they were watercoloured then a thin layer of crystal effects was applied on top then dazzling diamonds were sprinkled all over. So cute huh? The colours used are Brocade Blue, Certainly Celery and Barely Banana. How gorgeous is that brocade ribbon? I have an update on the Greenhouse Garden stamps, I have already hit my target in fact I smashed it I sold 12 sets so far and we're not even half way through the month can WE make it 20???????? 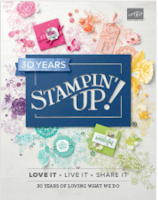 I am so excited you all get to add a stunning set of stamps to your collection and you're helping out those that so desperately need it. THANK YOU !! Get well my dear friend! You are sick and still making cards? You REALLY must LOVE what you do. They look beautiful. Monica this what lovely project you have made with the Egg set your colours are just beautiful. I love the Good Egg set too, that chick in the egg is just too cute! I would appreciate any tips on making the easter egg box...looks perfect to do with my Mom next month. Thanks for sharing your creations. I love that set! The colours are really fresh. How did you punch the middle hole in the egg box?